It's 23 April, 1915. We find ourselves on a beach on the Gallipoli Peninsula, Turkey. The sun is shining. The seagulls are swooping at the fishing nets, flashing with silver fish. The next day, the ships arrive. They are big. War has begun. There are so many countries involved--not just Turkey, but Holland, Belgium, Japan, France, Germany, England, Australia and (sadly) many more. Can we even imagine? Can we? Can we even begin to understand what it was like? 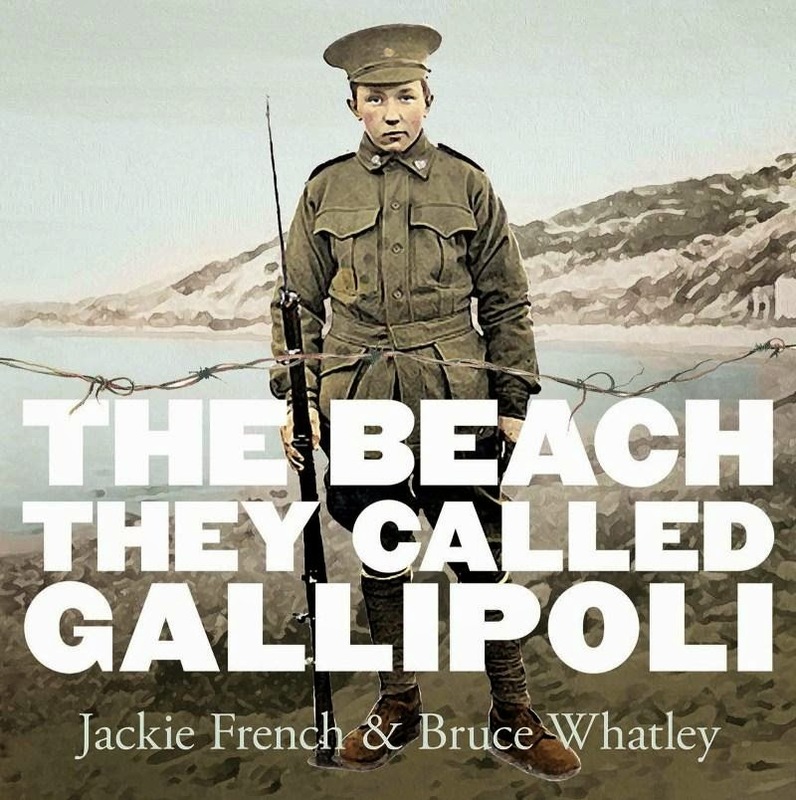 In this powerful book, powerhouse duo French and Whatley bring Gallipoli to life with page after page of rhythmically beautiful text that will goosebump the skin, and collage after college of real life imagery--photographs, diagrams, maps, flags, letters, postcards and more--bringing reality clamouring like machine gun fire onto the page. This is the story of our men. Of their men. Of all the men. Of the terror, of the pain, of the trenches and the machines and the mortality of the human frame--both mind and body, but perhaps not the spirit. It is a book that combines the fragments of battle and pastes them into an undivided album that refuses to romanticise the senselessness of war, and instead embraces the humanness--both enemy and ally--and the overwhelming impact it has, not only on these we lost, but those who were left behind. This is a beautiful, important book that isn't afraid to tell it like it is--while still speaking its volumes in a thoughtful, dedicated way. Although not overly graphic, images featuring fallen soldiers mean this book should be shared with younger children with discretion. By all means, share it with the very young, but take care with sensitive readers.